Business Driven PMO Setup presents practical experiences and wisdom for those responsible for, belonging to, and served by a PMO. This book establishes a clear bottom-line business mindset and practical approach that any PMO can adopt. Business Driven Project Portfolio Management presents some of the leading thinking about management systems and the emergence of complex adaptive systems as an alternative to plan-driven scientific management which lies at the heart of the project management community vs. agile community hostilities. Business Driven PMO Success Stories offers executives, managers, and all those involved in the projects of the organization the knowledge they need to first determine the purpose of the PMO, their PMO, and to then craft a PMO best suited to the fulfillment of that purpose. This book seeks to fill this void in the current literature by offering insights, techniques, and examples to ensure a successful and business-driven project portfolio management organization. It boldly challenges some of the traditional project management thinking and institutions. It introduces and positions in a PPM context some of the leading thinking about management systems and the emergence of complex adaptive systems as an alternative to plan-driven scientific management which lies at the heart of the project management community vs. agile community hostilities. 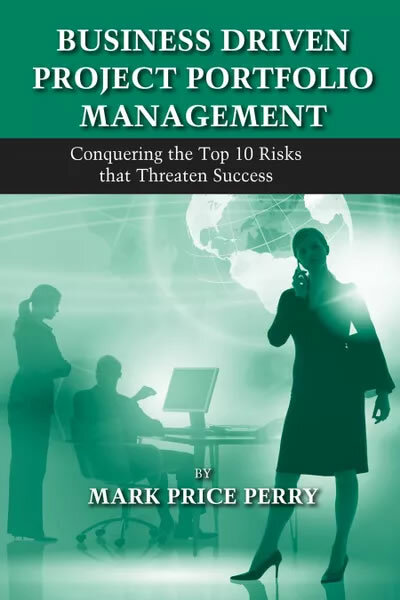 And in addition to a presentment of the top ten risks that threaten PPM success, this book features the thought, market, and product leadership of the leading providers of project portfolio management solutions by way of end of chapter "Showcase" pieces. Business Driven Project Portfolio Management – Conquering the Top 10 Risks that Threaten PPM Success offers executives, managers, and all those involved in project portfolio management the information that they must know in order to secure a mandate for and successfully implement project portfolio management. In a few hours reading you will gain insights from the author's and contributor's decades of PPM related experience. For those seeking to commence project portfolio management, this book will enable you to immediately address the risks that threaten success, ensure an effective and healthy dialog in your organization, and spare you countless PPM execution difficulties and organizational frustration. Business Driven PMO Success Stories was written by and with over two dozen contributing authors from the worldwide project management and PMO community. Collectively, the twelve chapters of Part 1 of this book and PMO manager success story showcase pieces in Part 2 present a tapestry of knowledge for how to ensure a successful PMO. While there isn't a single approach that is categorical the best or a one-shoe-fits-all-sizes solution or roadmap for how to set up an effective PMO, there are two distinct differences in philosophies, or mindsets, for how to go about it all; one that is aligned to general standards of practice and another that is driven by specific needs of the business. This book advises and introduces its reader to the latter. Business Driven PMO Success Stories – Across Industries and Around the World offers executives, managers, and all those involved in the projects of the organization the knowledge they need to first determine the purpose of the PMO, their PMO, and to then craft a PMO best suited to the fulfillment of that purpose. In a few hours reading you will gain insights from the author's and contributor's tens of decades of PMO related experience. For those seeking to set up a new PMO or to refresh an existing one, this book will start you off on the right track and in the right direction, it will ensure your success, and it will spare you from the execution difficulties and in many cases failures that most organizations needlessly suffer through when setting up and managing their PMOs.